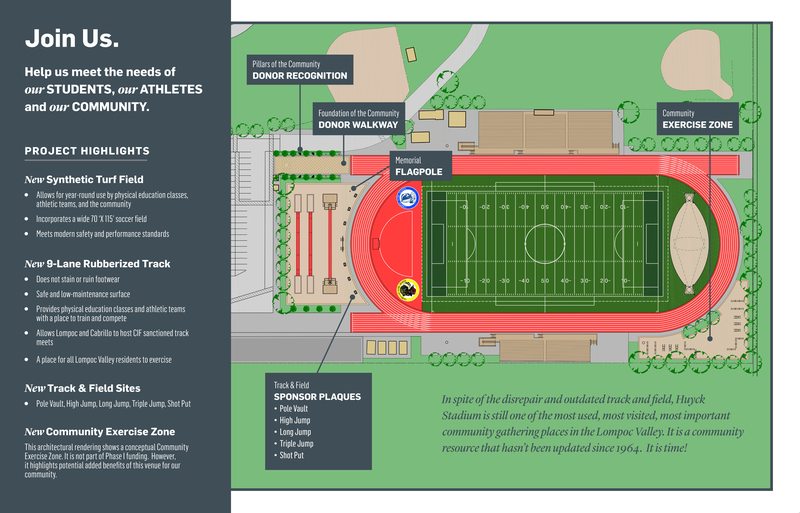 Lompoc Community Track & Field – The Campaign for Lompoc Community Track & Field entails upgrading Huyck Stadium's red brick track and grass field to a 9-lane synthetic track and artificial turf field. Join us and help us meet the needs of our students, our athletes, and our community. Be a part of this historic and transformative renovation. Thank you to our generous donors for your investment in the Lompoc Community. By the Community, for the Community. Below is a listing of local businesses, service organizations, and associations that support this project.